his is part two of an outstanding four-volume collection from Lone Hill Jazz, which features all of the 13 sessions that West Coast alto saxophonist Lennie Niehaus recorded as a leader during his career from 1954-1957. These new editions scrupulously respect the chronological order of the distinct sessions, which were presented in a rather chaotic fashion in their day. This CD contains five sessions that originally appeared on "Lennie Niehaus Vol. 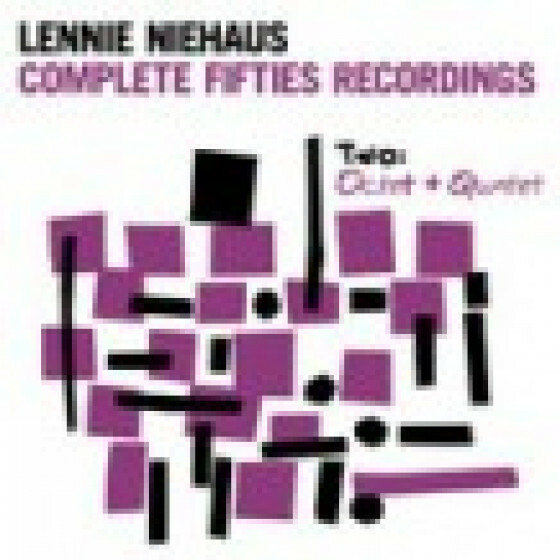 3: The Octet # 2 (LP)" and "Lennie Niehaus Vol. 4: The Quintets & Strings (LP)".Includes original compositions and outstanding versions of "Blue Room", "Love Is Here to Stay", "Easy Living", "Rose Room", "All the Things You Are", "Star Eyes", "Just One of Those Things" and "My Heart Stood Still". Recorded in California Jan & Feb 1955, and Los Angeles, March & Apr 1955.